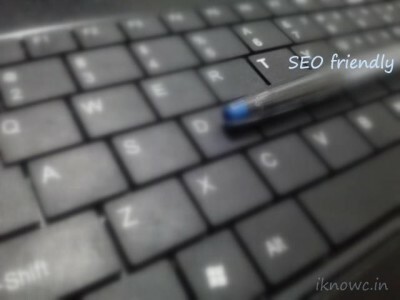 Writing a SEO friendly post is not a difficult task. There are many factors that you have to keep in your mind while writing a post for better Search engine optimization. Well before writing a good post make sure your theme and site is well optimized. Your website should be submitted to Search Engines with a proper sitemap. Also Higher search engine ranking not just depend on theme or the blogging platform you are using. Every body wants better ranking but for that he/she must be aware of what Google Likes and dislikes. In order to write a SEO friendly Post in wordpress you must follow the steps below. Title should be well optimized. The title should contain the main keyword. Would be more better if the keyword comes at the beginning of the title. Title should be Attractive so that viewers get easily attracted. The post should be unique, means word should be of yours. Post must contain at least 300 words to delight the viewer and Search-engine. Use bold, strong, italic and Underline style to decorate the keyword. Do not over use keywords that. Meta descriptions is another factor that affects the result in Search engines. For getting 1st rank or better rank you must write a good meta description. Here also, the description must contain focus keyword. Include images in the post and Add Alt text for them. Title must contain the focus keyword. Include the keyword in meta description. Decorate Keyword with bold, italic, strong and under line. Key word must appear in the first paragraph. Add ALT TAG for images. Post must contain more than 300 words. We suggest you to install a SEO plugin, like Yoast WordPress SEO plugin that can do bunch of things for your website. Also read BEST WORDPRESS SEO TIPS . FOR MORE SEO RELATED ARTICLE visit seohostingtip.com. Hey! I simply wish to give a huge thumbs up for the great information you could have right here on this post. I will likely be coming again to your weblog for more soon.